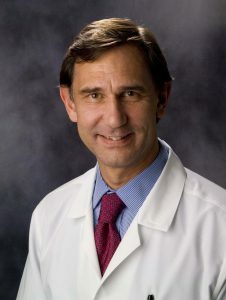 MIAMI, FL – August 31, 2017— Miami Cancer Institute, part of Baptist Health South Florida, has announced that Guenther Koehne, M.D., Ph.D. – currently one of the leading physicians in the Adult Bone Marrow Transplantation Service in the Division of Hematologic Oncology at Memorial Sloan Kettering Cancer Center (MSKCC) in New York City – will be its new chief of Bone Marrow Transplantation and Hematologic Oncology. Miami Cancer Institute is Florida’s only member of the Memorial Sloan Kettering Cancer Alliance, an elite organization that provides patients in Miami access to many of MSKCC’s innovative clinical trials, previously available only by traveling to New York City. One of the world’s oldest and largest private cancer centers, MSKCC has devoted more than 130 years to exceptional patient care, innovative research, drug development and educational programs and is today a world leader in cancer center. Dr. Koehne is an internationally renowned expert in the treatment of leukemia, myelodysplastic syndrome, multiple myeloma and other lymphoproliferative diseases, both with autologous and allogeneic stem cell transplantations. He is especially known for his work in adoptive immunotherapeutic approaches with antigen-specific, donor-derived T lymphocytes in the treatment of viral complications following allogeneic transplants, and developed new approaches to the treatment of patients with high-risk multiple myeloma, minimal residual disease of leukemia and relapsed disease post-allogeneic bone marrow transplantation. A physician-scientist, Dr. Koehne received his medical degree and Ph.D. from Medical University of Hamburg, Germany, where he also completed a residency in internal medicine. He completed an additional internal medicine residency at Rush University Medical Center in Chicago. He did his medical oncology/hematology fellowship at MSKCC, and an additional research fellowship in the Immunology Program at the Sloan Kettering Institute for Cancer Research, Allogeneic Bone Marrow Transplantation Service, where he also served as a research associate. He has served as the principal investigator or principal co-investigator of numerous clinical trials involving bone marrow transplantation, particularly in the area of multiple myeloma. In his new role at Miami Cancer Institute, Dr. Koehne will oversee the hiring of other transplant physicians and additional hematologic oncologists; build a complete transplant team involving advanced practice providers, nurses and other key personnel; and develop and implement standard operating procedures, treatment protocols and clinical trials for bone marrow transplantation in close collaboration with his colleagues at MSKCC. Dr. Koehne will begin work at Miami Cancer Institute in October. Miami Cancer Institute is part of Baptist Health South Florida, the largest healthcare organization in the region, with eight hospitals (Baptist Hospital, Baptist Children’s Hospital, Doctors Hospital, Fisherman’s Community Hospital, Homestead Hospital, Mariners Hospital, South Miami Hospital and West Kendall Baptist Hospital), nearly 50 outpatient and urgent care facilities, Baptist Health Medical Group, Baptist Health Quality Network and internationally renowned centers of excellence. A not-for-profit organization supported by philanthropy and committed to our faith-based charitable mission of medical excellence, Baptist Health has approximately 16,000 employees and 2,300 affiliated physicians. Baptist Health South Florida has been recognized by Fortune as one of the 100 Best Companies to Work For in America and by Ethisphere as one of the World’s Most Ethical Companies. For more information, visit BaptistHealth.net and connect with us on Facebook at facebook.com/BaptistHealthSF and on Twitter and Instagram @BaptistHealthSF.